Wash away the years of your concrete and pavers here in the Las Vegas area. Las Vegas Concrete Sealing is here to the rescue. We have decades of experience in the concrete and paver cleaning and concrete sealing industry. We only specialize in the concrete and paver cleaning and sealing business and do not do any installations of pavers or provide any other contract services whatsoever. We stay completely focused on the concrete and pavers cleaning and concrete sealing industry. Take the wear and tear of the beating sun and extremely dry climate here in the Las Vegas valley away now. Did you know that you can actually make the appearance of your property look as much as 10 years newer by cleaning and sealing your concrete and paver areas? By providing a concrete sealing to your concrete or paver surfaces, you extend the longevity of that area and keep the property looking great. Enhance your property value by having our professional team come and power spray your aged or damaged concrete or paver areas and bring them back to looking brand new. Whether it’s your driveway that has been damaged by leaking fluids from a vehicle or just an outside patio or deck that needs some tender loving care. We can provide concrete sealing services that will give any concrete or paver area a brand new appearance. Las Vegas Concrete Sealing and Paver Sealing is truly the expert when it comes to cleaning concrete and paver surfaces. Our team is ready to do even the largest pressure wash jobs. We’ll be available for the residential owner all the way to larger HOA communities, apartment complexes, and even the hospitality industry. We handle all our cleaning and concrete sealing from our own friendly staff. We do not subcontract out any of our jobs. You can count on Las Vegas Sealing to be prompt and get the job done right the first time. This can also be a huge saving to have the cleaning and sealing services that we provide so you can avoid costly monthly HOA fines. We can even strip off old sealant that is starting to chip away so we can clean and restore the concrete, stamped concrete, or paver surfaces. Did you recently purchase an older home that has an extremely neglected pool deck or paver patio? Not to worry, we can get in there and pressure washes off all of the old damage and clean that pool deck or paver area right back into shape. With a good sealant after the cleaning takes place, your damaged pool deck or paver patio should be good to go and have that shiny new look. There are even non-slip sealers available for wet areas that may be around your pool or even on a steep driveway or walkway. 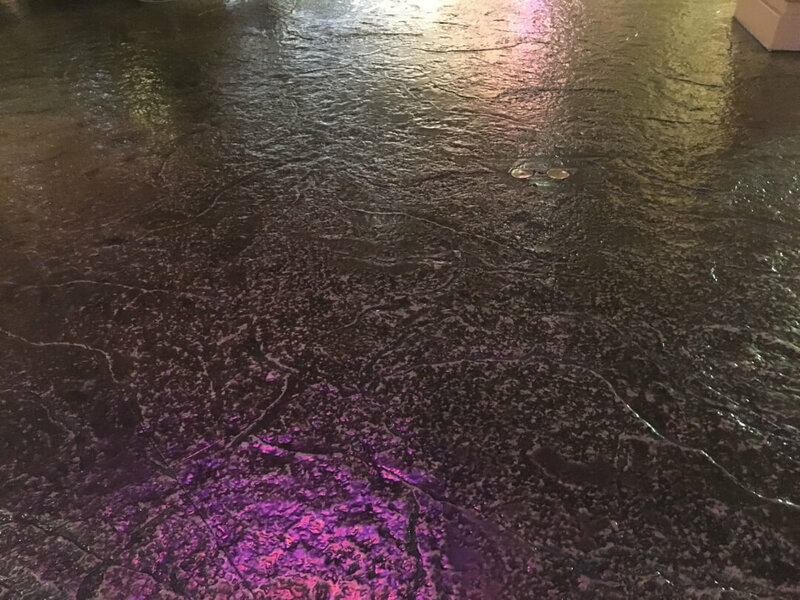 We also have a specialty line of sealers for your expensive stone areas such as fountains and waterfalls as those products need to be protected from the Las Vegas heat and sun as well. We do same day services so give us a call today and get your concrete and paver areas back into shape for the summer months ahead.